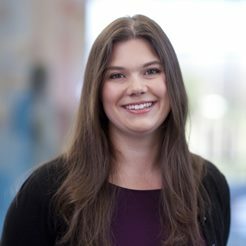 When I told my friends and family last summer that I’d agreed to be a Girl Scout™ leader, their first response was universally similar: they were excited to have a cookie hook-up. And really, who can blame them? Girl Scout Cookies are addictively good. The decision came partially because I’ve always wanted to be part of Girl Scouts. In fact, one summer I attended a Girl Scout™ camp—Camp Candlewood—and it was my favorite of all my summer camp experiences. While there, we sailed, swam, water skied, and more. I loved the variety of water activities we participated in, and also how each cabin of girls bonded so much over our time there. 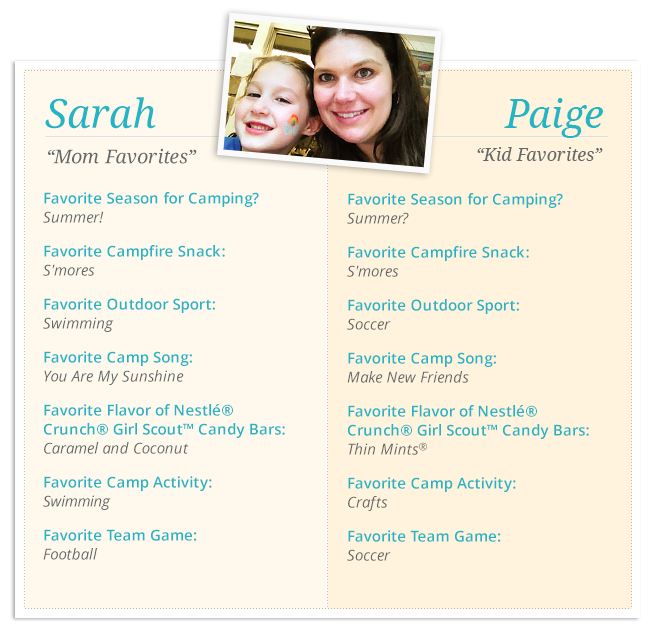 I can’t wait until my daughter is old enough to head to camp—I know she will love it too. 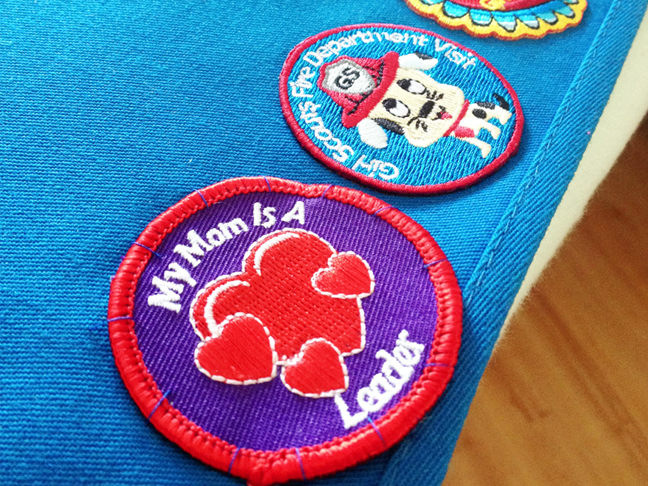 In the meantime, we are enjoying all that scouting has to offer…including the cookies. 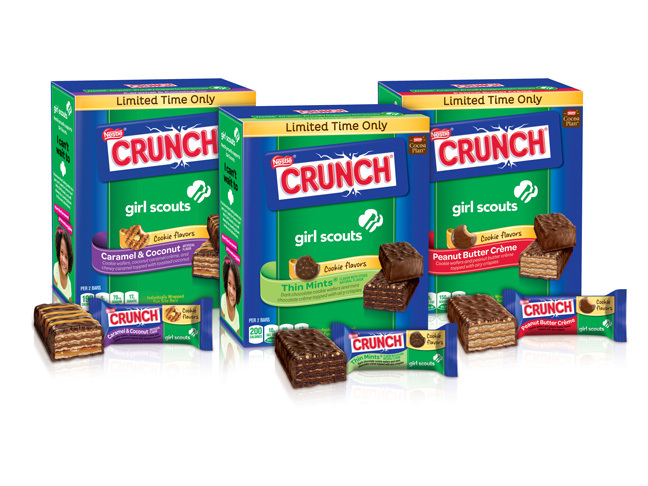 Nestlé Crunch has partnered with Girl Scouts to create a line of Girl Scout Cookie™ flavor inspired candy bars. Thin Mints, Caramel & Coconut (a.k.a. Samoas/Caramel deLites), and Peanut Butter Crème Nestlé Crunch Girl Scout ™ Candy Bars combine crispy layers with the sweet, decadent flavors of the Girl Scout™ Cookies that inspire them. My daughter, Paige, who just became a Girl Scout Brownie, reached for the Thin Mints flavor first. She loved the minty chocolate crème that is nestled between dark chocolate cookie wafers. A dark chocolaty coating makes them even more like the cookies. My son, Will, who is eight, was all over the Peanut Butter Crème, which has smooth peanut butter crème between cookie wafers. Those are coated in a creamy, chocolaty coating—and they were a lot like the Tagalongs he loves. As for me? I had to try the Caramel & Coconut, which are modeled after my very favorite Girl Scout Cookies: Samoas. I couldn’t believe how much like the cookie they tasted. No, they aren’t the same, but Nestle has captured the essence of the cookie in this amazing candy bar. Want to try them? These Nestlé Crunch Girl Scout™ Candy Bars are only available through the end of August—so be sure to pick some up soon! They come in single bars or fun-size bars. Oh, and one more thing: Nestlé Crunch has teamed up with Girl Scouts of the USA (GSUSA) to launch the Nestlé Crunch Girl Scout™ Candy Bars “Let’s Get Her To Camp” campaign. 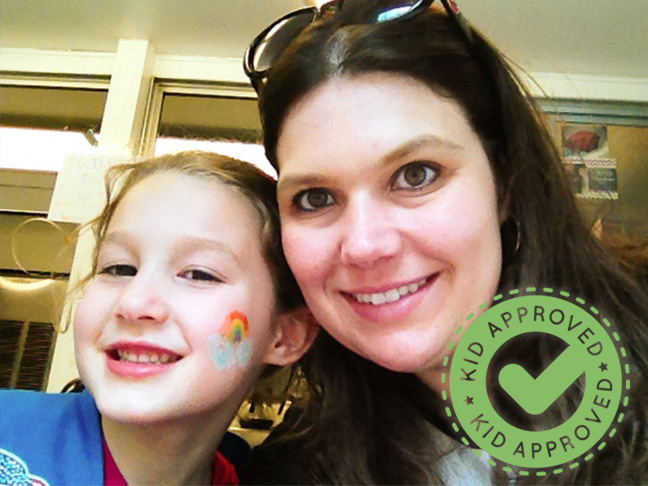 This campaign will help girls attend summer camp. 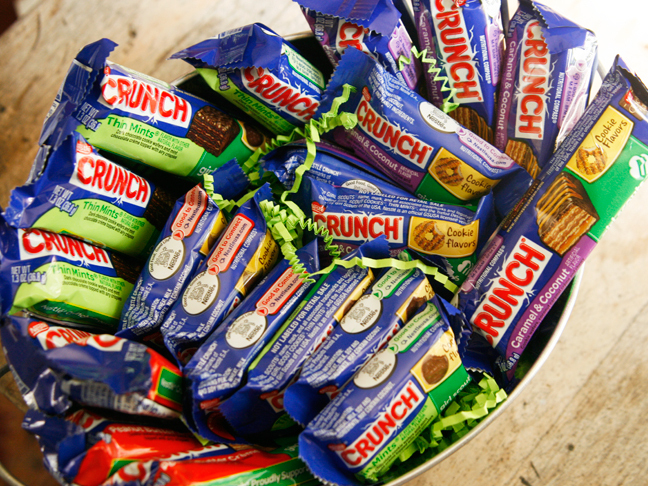 Nestlé Crunch is donating a minimum of $200,000 toward this cause—but they will up the ante with consumer participation. From now through the end of August, gather around the Nestlé Crunch Girl Scout™ Candy Bars digital campfire on Facebook and Twitter and become a part of the story by using the hashtag #LetsGetHerToCamp. Visit NestleCrunch.com/LetsGetHerToCamp for additional details.